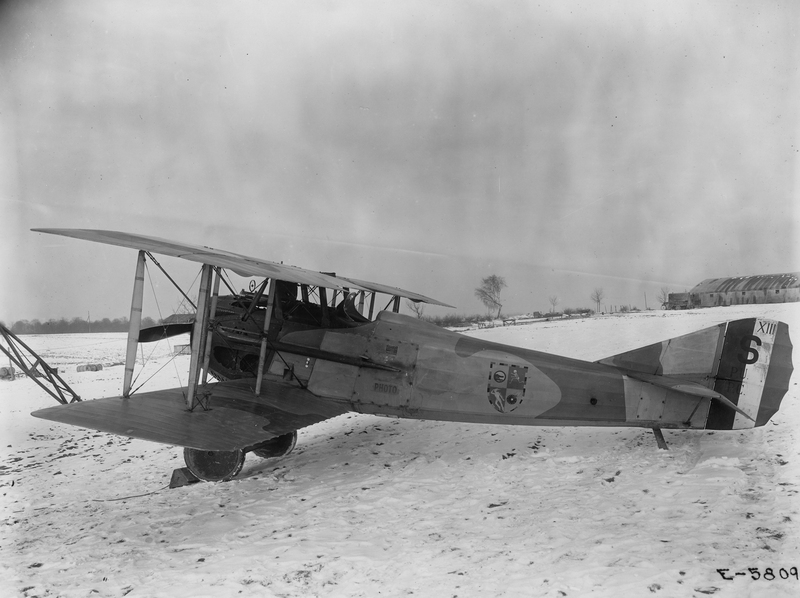 By the fall of 1918, most of the U.S. combat fighter squadrons flew the French-made Spad XIII in battle. In 1917, when the United States entered the Great War, the Army Air Service was a tiny, primitive and incapable force. 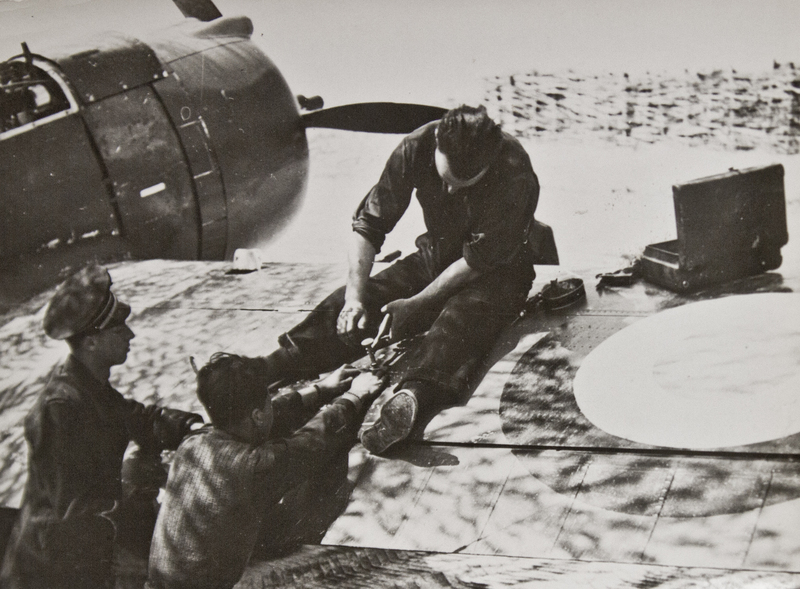 In the span of a year, the AAS went from backwards and poorly equipped to a state of the art, modern organization that went toe to toe with the best aviators and aircraft in the world during the final months of the war. That incredible transformation only happened because of massive French assistance. 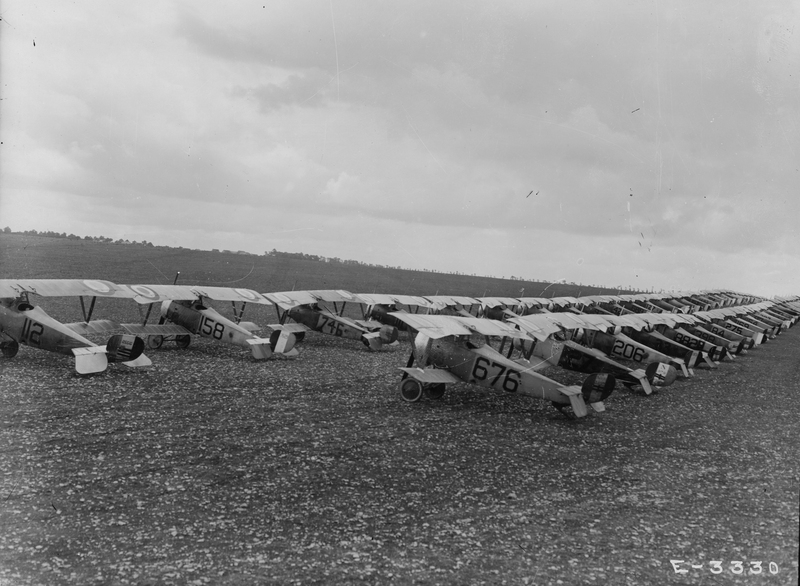 The French helped train American aviators, provided advisors and equipped most of the USAAS squadrons that saw combat on the Western Front. That free-flow of knowledge, experience and material support laid the foundations for American air power. French Nieuport 17’s trained America’s first generation of fighter pilots. In the early 1930’s, French military aviation was considered to be the most advanced in the world. But in the span of about five years, all that changed. The Great Depression hammered budgets, and poor policy decisions on the part of the French government played havoc with the French aircraft industry. Production rates plummeted. Suppliers and contractors to the major aviation companies went out of business. Construction techniques became outdated, and factories were not modernized. French ground crews re-arm an American-built Hawk 75. 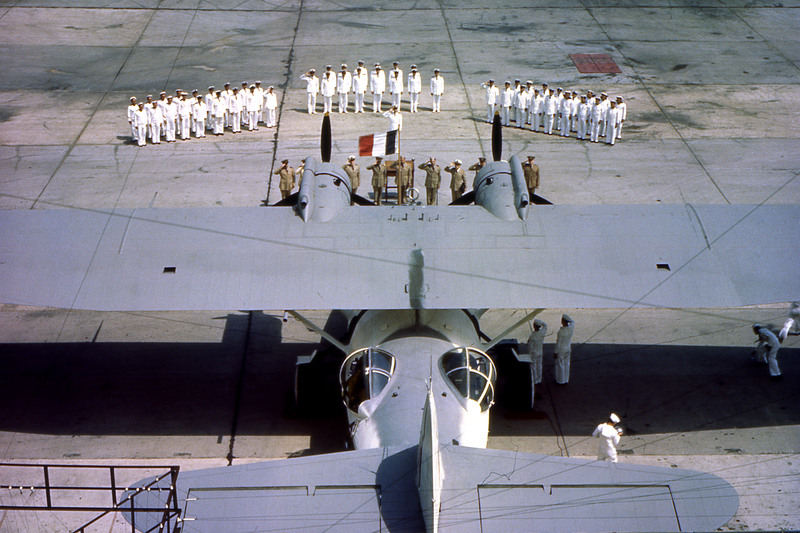 A French naval air force ceremony in front of an American-made Consolidated PBY Catalina. As the threat from Nazi Germany grew, the French made a furious effort to modernize and catch up in 38-39 after watching many nations surpass their once great L’Armee De L’Air. While the nation initiated a crash effort to modernize and increase production of a new and formidable generation of aircraft, including the LEO 451 and the D.520, France turned to the United States to help fill the gap. American firms began churning out aircraft for the L’Armee de L’Air, including the Curtiss Hawk 75, the Martin 167 Maryland bomber, and the Douglas DB-7 (A-20 Havoc). The Hawk 75’s and Martin 167’s saw combat in 1940 with the French, but most of the DB-7’s ended up with the RAF after the Fall of France. A French Martin B-26 Marauder. Several medium bomb squadrons flew these in both the MTO and ETO. In 1942, the U.S. began supplying the Free French with a whole new generation of fighters and bombers. French squadrons went into combat in the MTO and ETO in American-made Martin B-26 Marauders, Bell P-39 Airacobras and Republic P-47 Thunderbolts. 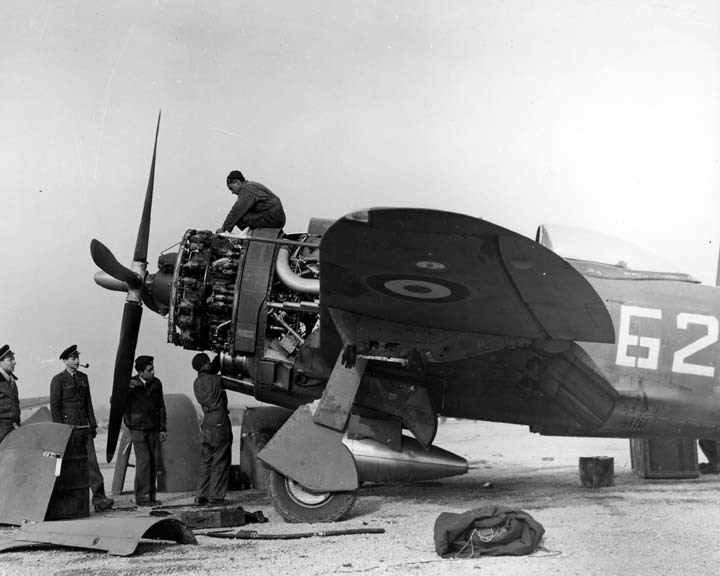 French ground crews working on a P-47 Thunderbolt during the winter of ’44-45. After the war, as the French sought to rebuild their military as the Cold War intensified, American designs once again played a crucial role in the L’Armee de L’Air until France’s aviation industry could get back on its feet. American F8F Bearcats, B-26 Invaders and jets such as the F-84 carried the French cockade through the late 1940’s and early 1950’s. That support helped establish post-war French air power. In the years since, French and American combat aviators have served alongside each other over Iraq, over Serbia and Afghanistan, carrying the hundred year aerial alliance into a new century against new and pernicious threats. I was fortunate to see the French in action while I was in Afghanistan in 2010. I remember watching two of their Eurofighters take off from Kandahar and thinking, The spirits of all those Spad and Thunderbolt pilots rides on their shoulders. 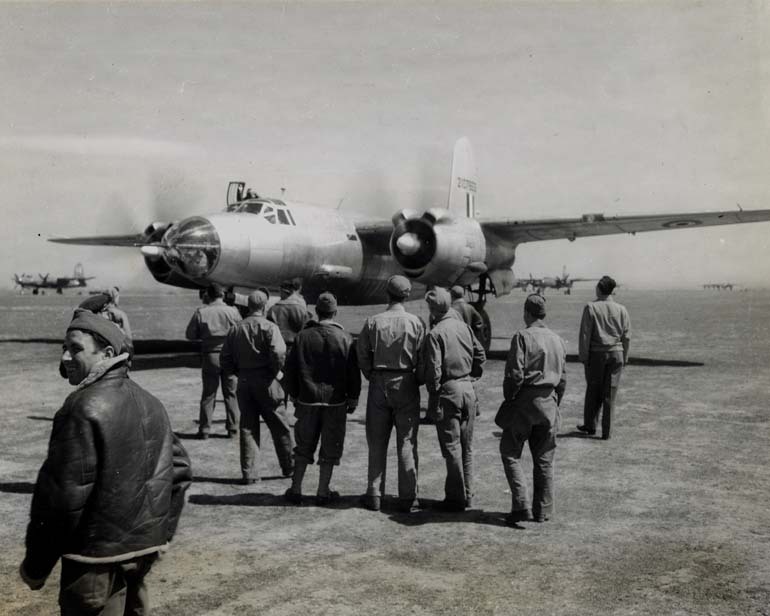 The birth of America’s bomber force was greatly assisted by the French. 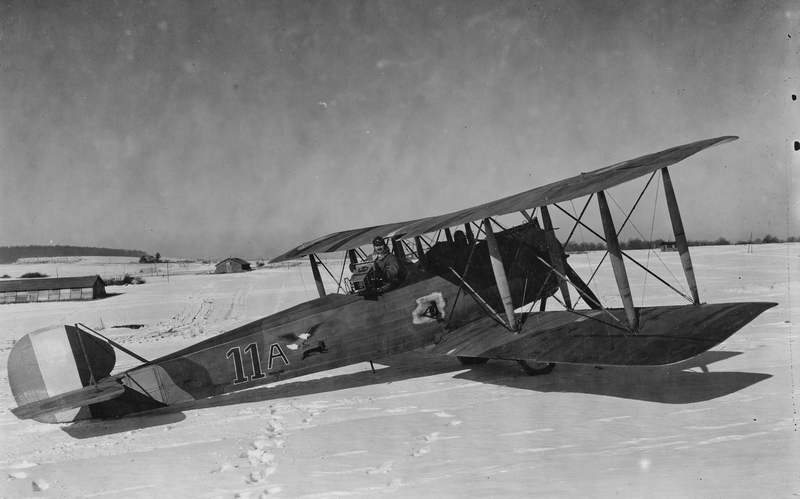 Here, a Breuget 14 serves with one of the first bomber squadrons to see service with the USAAS.